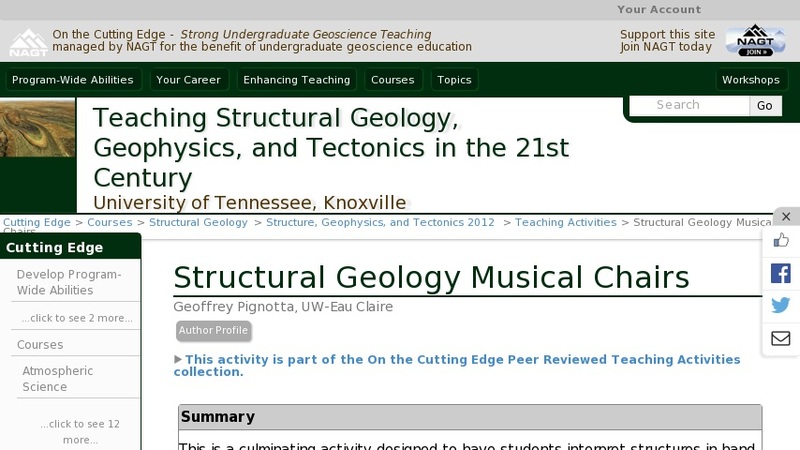 This is a culminating activity designed to have students interpret structures in hand sample. Enough hand samples are chosen for the number of students in the class. Students are given a short amount of time to observe all samples. Music is started and they walk around the samples until the music stops. Each student must then present a description and interpretation of the hand sample in front of them.